Get your club noticed and advertise upcoming sessions. 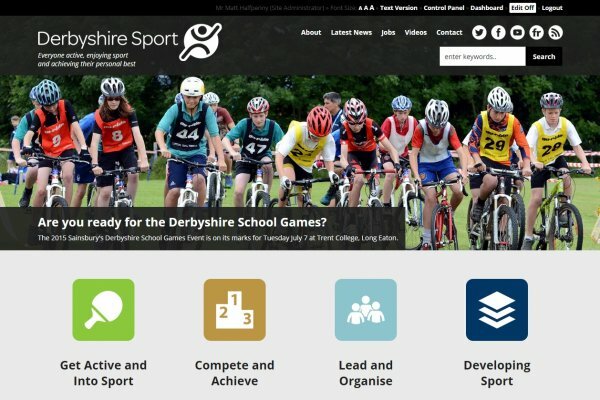 By becoming a member of the Derbyshire Sport website, you will receive the latest information in our e-newsletters on the things that matter to you, such as the latest funding news for clubs, or the latest news on coach bursaries. Raise awareness of your club or group by promoting what you have to offer. Get more people in your local area involved in sport and physical activity, whether they are taking part in one of your sessions or helping out in one of the volunteering roles. Derbyshire Sport gets more than 50,000 page views each month than and has more than 12,000 followers across its Twitter and Facebook social media platforms. Take advantage of that pulling power by promoting your club or group on our website, Facebook and Twitter! 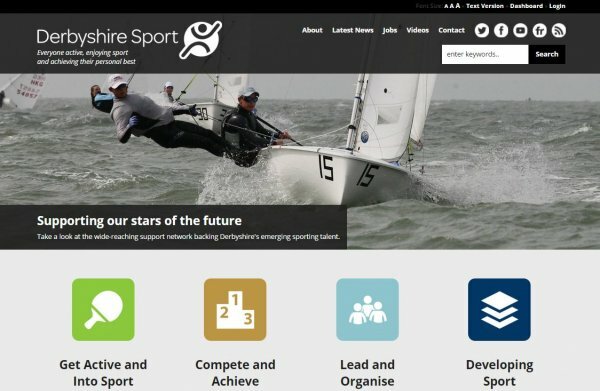 Create an activity page for your own club or group that tells people everything they need to know about your specific activities including times and dates of one-off or ongoing sessions, such as junior or senior training. Register your interest as a coach to make you eligible to apply for a Coach Derbyshire of up to £400 and so that we can let you know about coaching opportunities that may suit your specific requirements. Follow the guide below to register yourself (including to apply as a coach), your club, your sessions and volunteering opportunities. 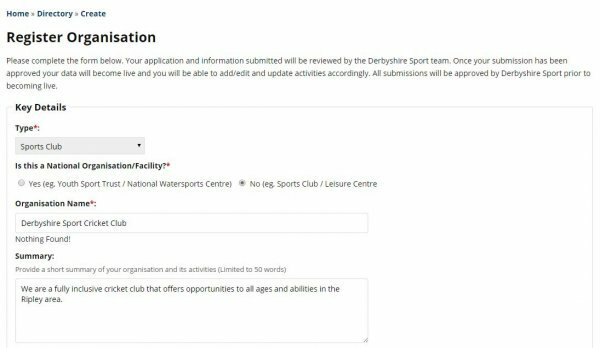 We suggest that to follow this guide you open up a new window whilst you follow the instructions below; click here to open a new window on the Derbyshire Sport homepage. 1.1 Home page - click on 'Log In' (in the top right hand corner). 1.2 Sign up - click on 'sign up' and enter your details. 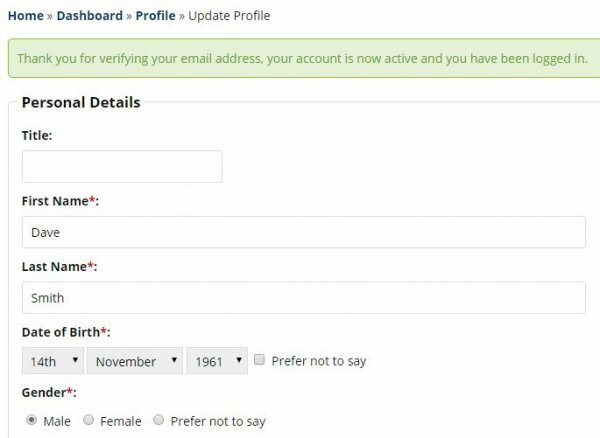 1.3 Personal details - enter your personal details to create your profile. 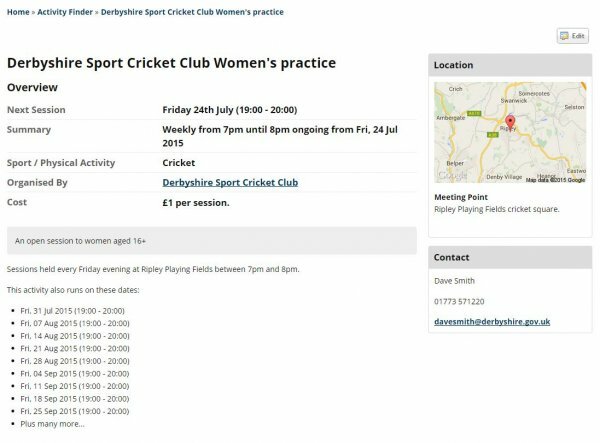 (We capture your information so that we can build up a picture of those involved in sport and physical activity in Derbyshire, we do not share with 3rd parties). 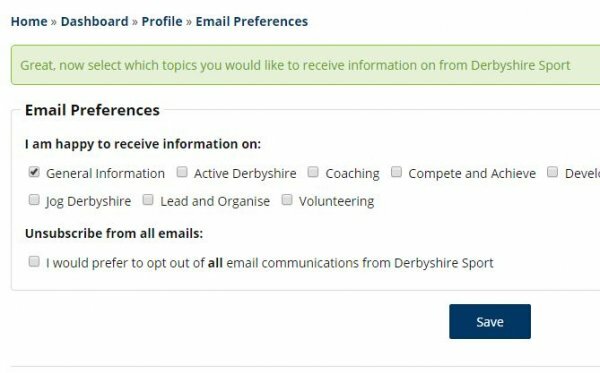 1.4 Newsletter preferences - select what topics you would like to receive information on via Derbyshire Sport e-newsletters. 1.5 My Profile - From here you can view and edit your profile. Link yourself to a club or group by clicking on 'why not add one?' (under 'Clubs & Organisations'). 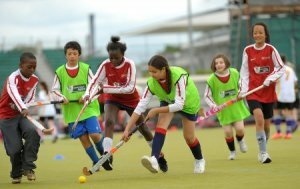 Once your club or group has been approved, you can register all the sessions that you provide i.e. seniors, juniors, female only, recreational. 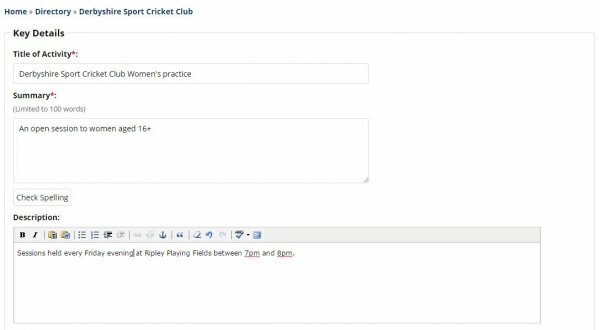 2.1 Link yourself to a club / organisation / group - search for your club or group within the box and click on what role you play in it and whether you would like admin rights to maintain its profile. If your club or group are not in our database, click on 'register your organisation'. 2.2 Register a club / group / organisation - enter all the details on what you offer, where you are based, who you are open to, who is your main contact and social media details. Please note this is sent for approval by the Derbyshire Sport team - please allow one working day for this to be processed. Top Tip - the more detail you add the more chance someone will take an interest in your club or group. Now that you have approval to make changes on your club / group /organisation's page, you can now register as many sessions as you like. 3.1 Dashboard - click on 'Dashboard' at the top right hand corner of the page. 3.2 Dashboard overview - on 'My Profile' you will now be connected to the group registered in 'Step 2' (above). 3.3 My Clubs & Organisations - click on 'Manage Activities'. 3.4 Add activity - click on 'Add Activity'. 3.5 Activity details - add details of your activity/session; what it offers, who it's aimed at, where it takes place, times and dates and contact details. Top tip - Enter your social media details so that members of the public can connect with you. Follow @DerbysSport and we will follow you back and retweet your Tweets! 3.6 Completed session - your completed session can now be viewed by anyone using the Club and Activity Search. Top Tip: Keep your session details updated so that people can see the latest information. Click on the Dashboard - click on 'Find Volunteering Opportunities' - click on 'Add Opportunity'. Complete the details of your volunteering opportunity, give as much information as you have so that people get a good idea of what is involved and how much time is expected from them. The more information that is provided, the better the chance that someone will read it and get in touch to find out more. 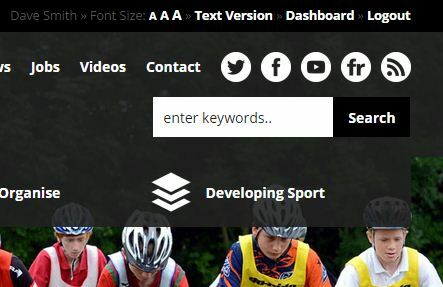 5.1 Sign up - If you're registering as a new coach, click on 'Log In' (in the top right hand corner) and follow step one, above. Top tips: If you registered on the old website and want to get back into your account, see 5.2 below. 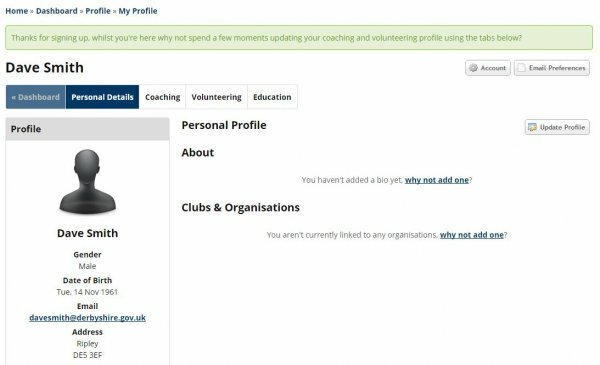 If you have already registered as a volunteer, you can simply add your coaching details when logged into your existing profile by clicking on dashboard, then my profile, followed by the coaching tab. 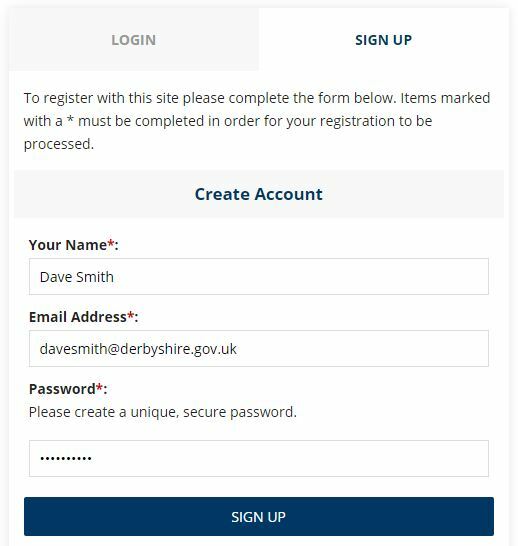 5.2 Updating an existing Coaching Derbyshire account - you will need to submit a new password by clicking on the 'log-in' tab, then 'please change your password now' on the log-in screen. You will be sent a new temporary password to log in with. 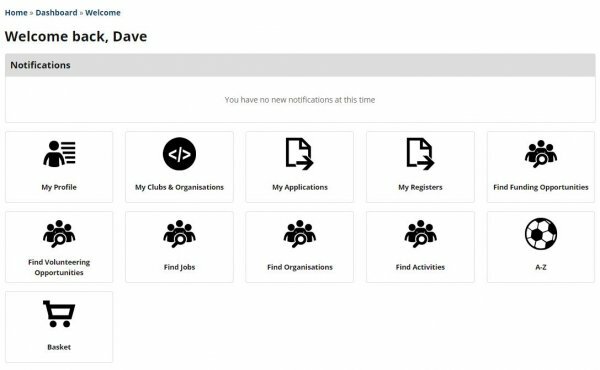 5.3 To add coaching qualifications and activities when registered - click on 'dashboard' in the top right hand corner of the page and then on 'my profile'. 5.4 Dashboard overview - on 'my profile' you can update or amend existing coaching information under the 'coaching' tab. Click on the 'why not create one' link to create your coaching profile. 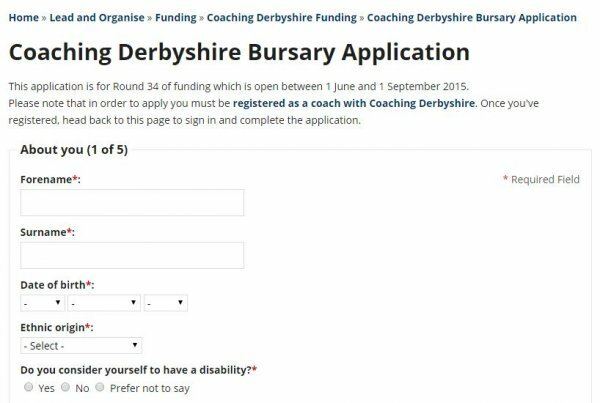 6.1 Finding the Coaching Derbyshire bursary page - Click on the turquoise 'lead and organise' section and then, using the tabs down the side, select 'funding' and then 'Coaching Derbyshire funding'. 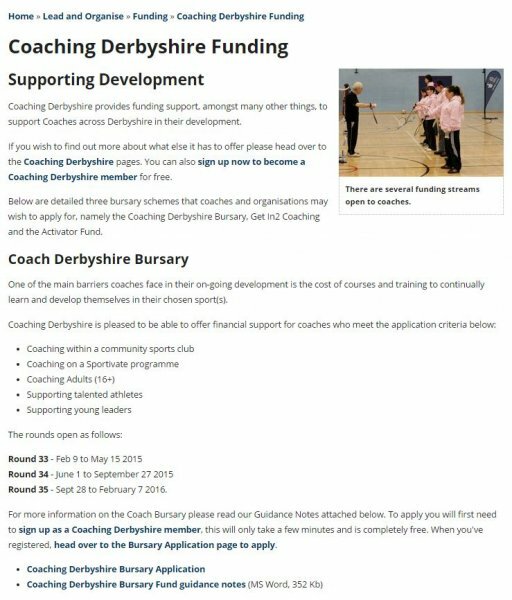 6.2 Fill in your application - On the Coaching Derbyshire Funding page, select 'Coaching Derbyshire Bursary Application'. You can then complete your application online with the help of the accompanying guidance notes. Top tip: If you haven't signed up to the website, you won't be eligible to apply for a bursary. Please follow instructions under step one to register. Once your application has been received and processed, you will be sent confirmation by mail as to whether your application has been successful after the closure of each funding round. In the meantime, Coaching Derbyshire may contact you via the details provided should any additional information be required.